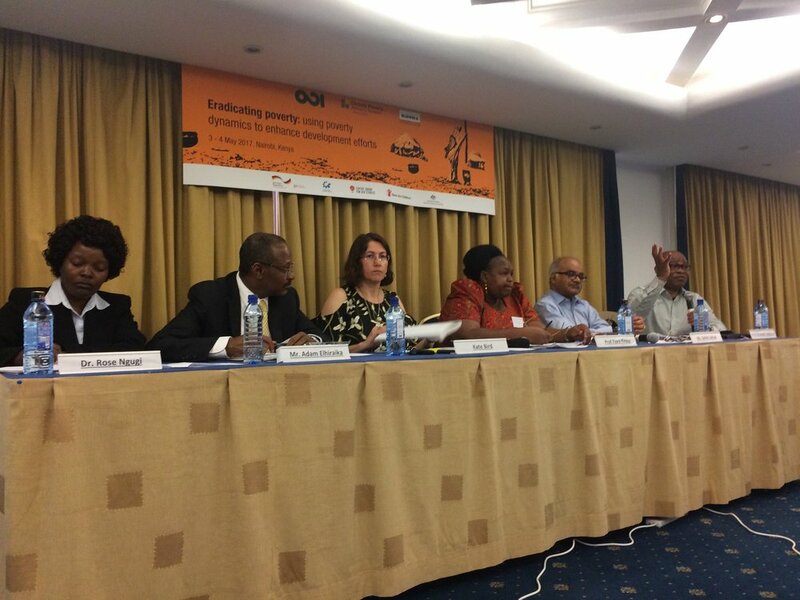 This blog article is a reflection on the CPAN event Eradicating poverty: using poverty dynamics to enhance development efforts by Alfred Bizoza, Director of Research at IPAR Rwanda. 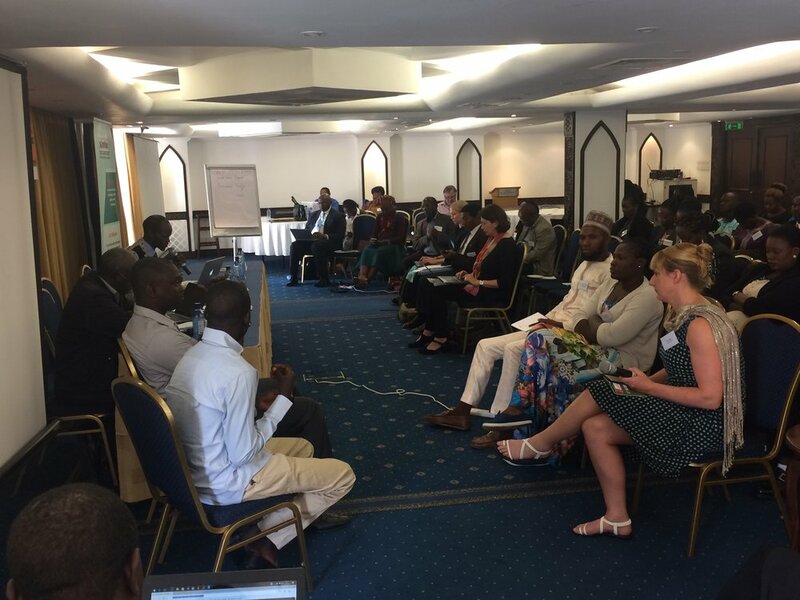 Several CPAN partners and stakeholders from all over Africa, including policy makers, CSOs, the private sector and researchers, met in Nairobi on 3-4 May 2017 to reflect on the effective mechanisms and interventions to meet the needs of the poorest people and to discuss how to translate these in concrete actions in their respective countries. 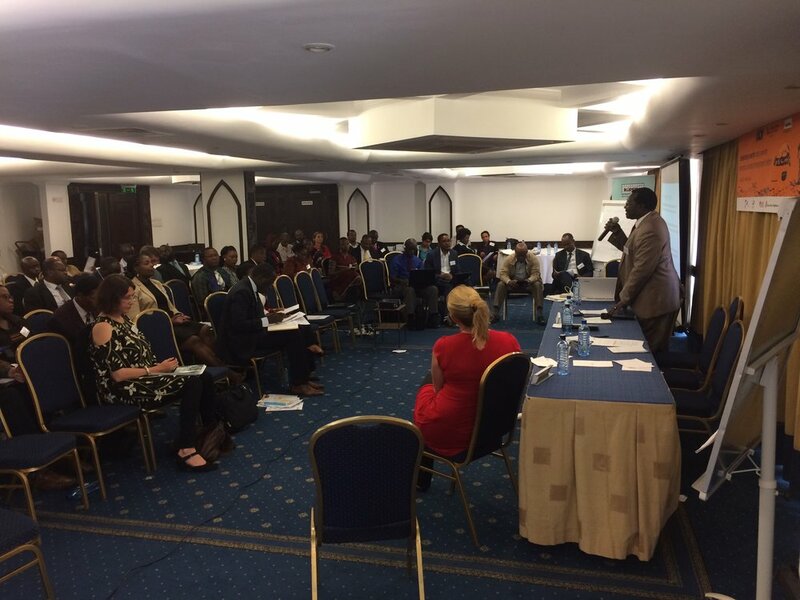 The event received informative presentations based on different studies CPAN developed in the last years around pro-poorest growth, anti-discrimination, disability, poverty dynamics and social protection. Discussions around anti-discrimination and disability benefitted from the active participation of a number of researchers and practitioners who were also persons with disabilities. The conversation brought to the table the important - and too often overlooked - linkages between disability and poverty dynamics, together with other real challenges affecting not only the disabled but also broader categories of the population. The subsequent workshops reaffirmed that Persons with disabilities still require greater visibility. Suggestions on how to achieve this ranged from a bigger role of the media to legal class action to ensure that the rights of Persons with disabilities were not overlooked. The debates also highlighted the relevance of social protection programmes and how these could be strategically implemented to enable people to graduate out of poverty. 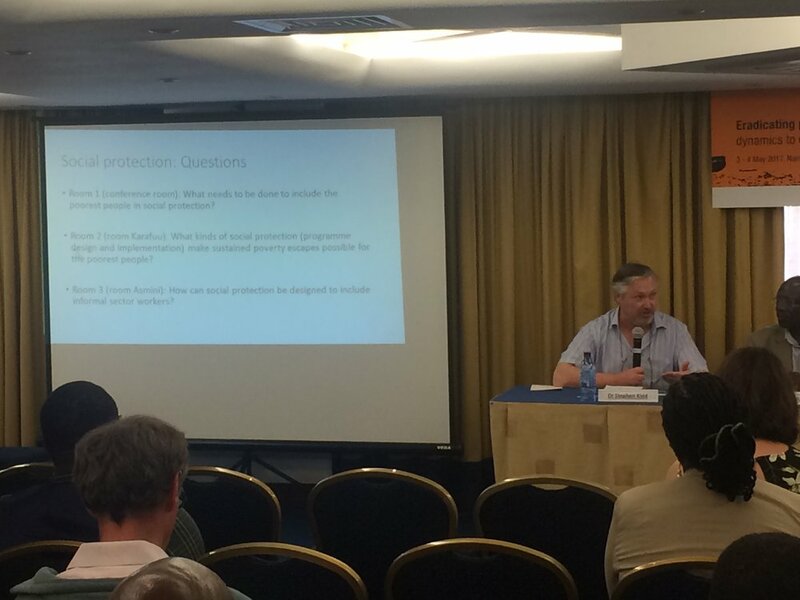 Several questions triggered intense debates, such as ‘Is Social Protection a human right? Or should it be treated just as an economic issue?’, or ‘To what extent Social Protection is used to reduce poverty?’. Despite sometimes failing to find a final answer to these questions, these questions certainly shade light on the urgency to move beneficiaries of social protection programmes above the poverty line and prevent them moving back into poverty. This type of support is key to fully understand, monitor and act to fight chronic poverty. As such productive inclusion interventions (such as the case of Vision 2020 Umurenge Programme in Rwanda) are certainly a means to enable beneficiaries of such programmes to become more independent. Another increasingly important issue that emerged as an obstacle to the reduction of poverty in several African countries is the high level of corruption, especially in social service delivery. On the topic of what various government ministries could do to meet the needs of poorest people, through the discussions it emerged that while ministries have several options - such as develop well-defined sectoral strategies, promote participatory development, gather adequate information about the poor, plan and budget for effective interventions - corruption remained a major constraint. It is not unusual that interventions do not reach the poorest because resources are siphoned. Thus, there is a strong need to call for more accountability and transparency in the development of programmes both among governments and development partners. A general paradox that was raised during the conference is that Africa is still a continent that cannot feed itself - which is its very basic need - yet it is rich in resources that could shift its people out of poverty. Accountability, efficient use of resources, good governance, and appropriate institutions in Africa are certainly central towards economic growth and sustained poverty reduction. Moreover, it is not necessarily the case that policymakers do not know what needs to be done. Rather, a participant during the working group sessions pointed to the “systematic denial of evidence” sometimes common in policy settings that remains to be fought. A debate that sparked several controversies was around inclusiveness, specifically the ’Leave No One Behind’ agenda. The key point of discussion was to find a commonly agreed definition for ‘inclusion’. What is inclusion? There is more than one definition. One important point of view emerged that considers the effects of inclusions: “inclusion implies that the systems are not discriminatory - and they do not need compensatory mechanisms for malfunctioning societies. So, the key issue is how we can make our societies more inclusive so we do not need anti-discrimination measures”. As such the audience agreed that the notion of “inclusion” should go beyond the systems and anti-discrimination legislation measures and be an ‘outcome’, not a mean. Studies presented at the workshop showed that “although quotas have increased the number of women in leadership positions like in India, their presence does not guarantee beneficial outcomes for women as the women leaders are seen to be proxies for more powerful men.” In other words, having greater numbers of women in positions of power does not overcome some underlying structural issues. Therefore, affirmative actions and anti-discriminatory measures should go beyond securing elite positions and address issues of economic empowerment, which can help work towards economic growth and poverty reduction. These discussions gave stakeholders and partners a forum in which to think and act in a consistent mode to address issues of poverty today without compromising the future.